Above: concert goers dance to the One Love reggae festival held at the Queen Mary last year. 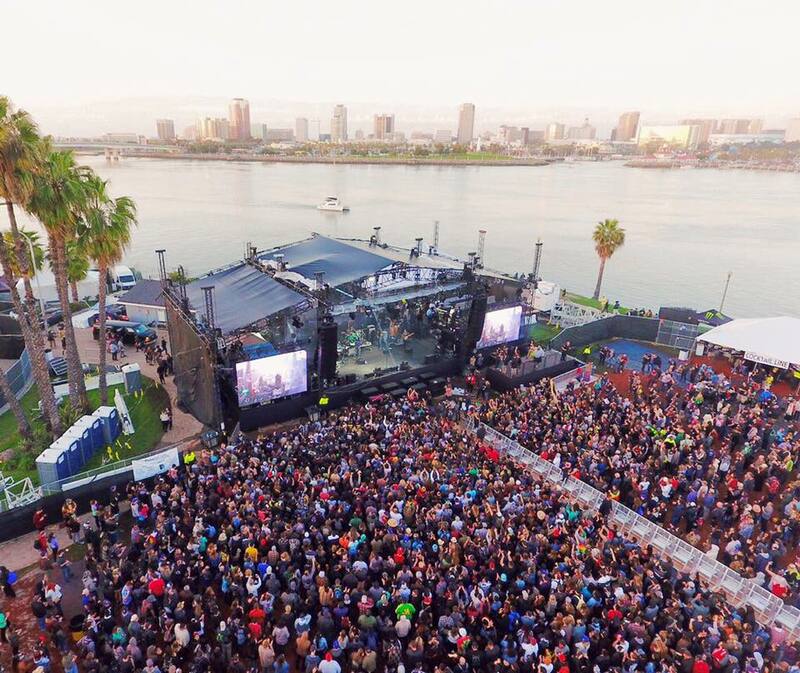 Long Beach’s most respected royal, The Queen Mary, is leading the city when it comes to being a live music venue after it inked a deal with Goldenvoice last December. The result? A massive R&B/soul festival honoring famed 90s festival Smokin’ Grooves that brought hip hop to the masses in a time when rock ruled the festivals circuit. For the updated, 2018 version, Smokin’ eschews a pure hip hop lineup and reaches back to legends that have helped define contemporary, neo-soul—Erykah Badu and The Roots (veterans of the OG Smokin’), each of whom deserve a festival in their own right—and pairing them with new school artists that have elevated the R&B scene, like San Pedro’s own Miguel and Jhené Aiko. This is Smokin’ Grooves 2018 and it invades Long Beach on Saturday, June 16. Back in the 1990s, Lalapalooza was the festival of all festival, but lacked any sense of diversity, catering to solely to the alt-rock scene of flannel, torn shirts, and black eyeliner. Smokin’ Grooves, bringing players like Wu-Tang, Wyclef, and Outkast was a direct response to this, offering music lovers a much-needed change-of-scene. Smokin’ Grooves became a certified phenomena—just read Rolling Stone’s phenomenal breakdown of its 1998 tour. And while this means an au revoir for the Observatory’s presence—having produced successful festivals on the Queen Mary’s grounds that has upped the live music game locally, like last year’s Summertime in the LBC—it means that Goldenvoice did not come to play, bringing even more impressive concerts and festivals could hit the city. Tickets for Smokin’ Grooves go on sale Tuesday.